The award-winning documentary TAKE BACK YOUR POWER 2017 uncovers the shocking story behind why hundreds of local governments and millions of ratepayers are standing against the multi-billion dollar rollout of ‘smart’ utility meters. Take a journey of revelation, examining evidence of in-home surveillance, hundreds of home fires and several fatalities, systemic over-billing, health risks, unprecedented hacking vulnerability, and even extortion. The insightful and often astounding new material in this 2017 final cut exposes the agenda behind smart meters with even more clarity. And the way to solution is also opened, as the forthcoming sequel – the InPower Movement – is introduced. With compelling insight from whistleblowers, government agents, lawyers, doctors, researchers and environmentalists, Josh del Sol’s TAKE BACK YOUR POWER investigates the claimed benefits and emerging risks of a profit-based global initiative that seeks to change the way we live. What you’ll discover will surprise, unsettle and ultimately empower you. 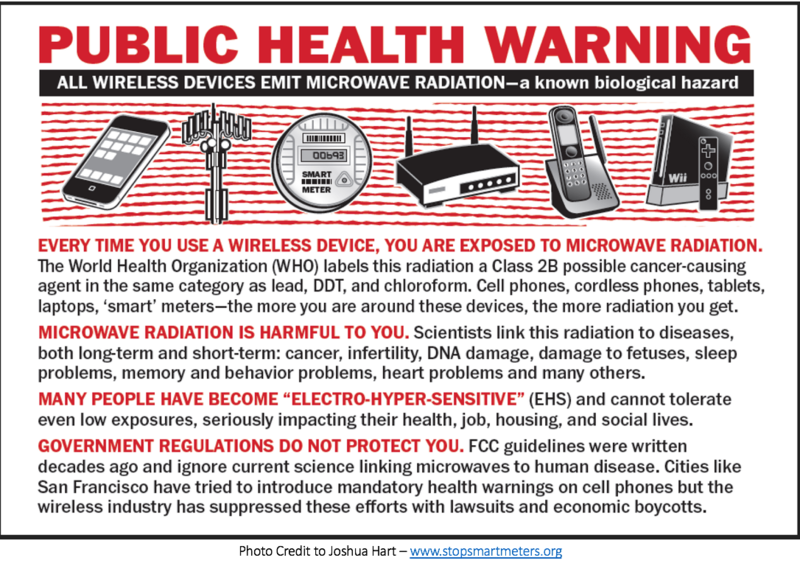 5G, can you feel it, the symptoms the why and what we can do to protect ourselves!!! Susan Clarke was for 10 years a Research Assistant the Harvard School of Public Health, from which she holds a certificate in Health and Human Rights. In her area of expertise, radio-frequency radiation bio-effects, she has quantitatively reviewed the scientific literature.